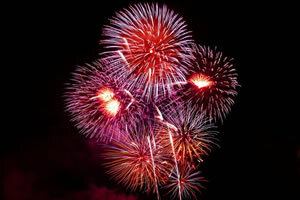 This New Year’s Eve Adelaide will light up a midnight with the council supported city NYE fireworks display. The city skyline with be a sky of excitement as the red, blue, gold, green and white skyrockets sparkle in the night sky. And wait for the sound as the bang of fireworks adds to the spectacle and adrenalin of compelling viewing. What are you going to do in Adelaide this 31st December to see out the old year and welcome in the new one? And will it be with friends and family or just your loved one? There are many commercial NYE events in the CBD and surrounding suburbs like Glenelg. Examples include dining and dinner at restaurants and parties at pubs and nightclubs. Hindley street will be a New Years hotspot, but there are cooler areas too. Get out and about this NYE and let the magic happen. We hope these ideas sort your New Year’s Eve Adelaide. Black Tie New Year's Eve gala ball. Adults event. Multi course dining and selected matching drinks. Bring in 2020 in style! Overlooking the Riverbank Fireworks. SA's best NYE Festival on the Victor Harbor Foreshore. Typically offers GA and VIP packages for New Years. Entertainment and fun times assured. See in 2020 with a family friendly festival on the foreshore. Host LIVE Entertainment in Lounge & a Multi Course Dinner in the Restaurant. Event usually includes Multi course dinner with Beverage Package and LIVE entertainment. Typically offers a multi course menu with beverage package plus LIVE entertainment. Sit Down NYE Dinners. Usually offers 2 sittings, early and late. Generally puts on a Multi Course Dinner package for NYE. Prime Viewing of City Fireworks. Offers may include food and beverage package and NYE dance party. Usually offers a Buffet Dinner and Beverage Package over 2 Sittings. Family Friendly. Party across 2 floors. DJ Entertainment. Offer usually includes: Canapé and drink package. Entertainment. Exclusive Fireworks Views from Terrace. Usually offers LIVE music and entertainment. Offers may include Glass of Sparkling at Midnight & Drinks Packages. Offers usually include Food, Nibbles & Beverage Package. LIVE Band providing Entertainment. 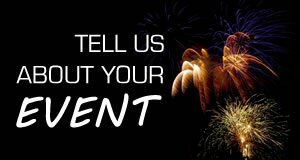 For all the best event details for New Year’s Eve in Adelaide make sure you see www.NewYearsEve.com.au.